Our annual satisfaction survey of parents, students and staff is currently being conducted on behalf of all Catholic schools in the Diocese this term. The surveys are designed to gather feedback from parents, staff and students about our school and will be used to inform school improvement. Responses are confidential, and individuals cannot be identified. As a school we are constantly striving for improvement. I feel very blessed to be working with such a dedicated and hard-working staff. I also feel privileged to have such a supportive and engaged parent community. Recent evidence of this has been through our future enrolment numbers. I also see and hear the joy and happiness in our students who love coming to school and participating in the day to day life of the school. The surveys were launched via email on August 20 and close on August 31, 2018 using the email addresses supplied to the school. If you do not receive an email with a link to the survey on 20th August, please email or contact the front office. This survey is very important to us. We would appreciate you completing the 10-minute (maximum) survey, especially if you are happy with the school and your child’s education. We have had a wonderful Book Week so far. The cakes looked (and tasted) amazing – thanks to the 5/6 parents for assisting with this! “Snuggle Up and Read” last night was lots of fun and we can’t wait for the Book Character Parade on Friday! Thanks to Liz French, our Teacher Librarian, for all her organisation. Thank you for supporting the farmers in this time of drought through your donation to the St Vincent de Paul Drought Appeal. STM raised approximately $624.80. 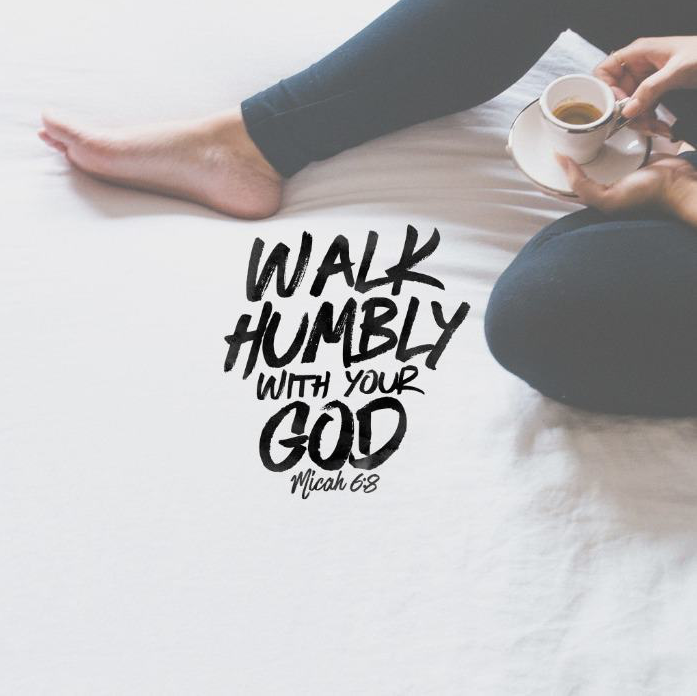 This week, I invite you to read a reflection on what it means to ‘walk humbly, walk in wisdom’. How do you walk? How do you carry yourself as you move about the world? Do you have swagger? Do you hold your head high? Are you on a mission? Is your gait timid and nervous like Gideon or confident and bold like Deborah? Or do you walk in such a way to look out for number one? However you walk; whether you limp a little or have a long stride, or whether you're quick or a little on the slow side, do it humbly. How you walk influences what you see, learn and hear and impacts how you approach people and situations. So take care to notice. It is with humility that we walk. When we follow God, that’s what we’re doing, we’re following. We’re not striding out in front saying that we know better or we can see more clearly. We surrender not our individuality or initiative, but our pride that blinds us and trips us up. The kind of pride that would keep us from being just and loving mercy. The kind of pride that would blind our faith. Humility IS strength. It gives room for wisdom to grow, it opens up opportunities for you to learn and It helps you to stand boldly and confidently after you’ve fallen down and asked for a hand up. Humility opens you up to others, heightening your awareness of those around you and how we all need each other. It's OK to need and to be needed. God created us for relationship. And community makes us strong. 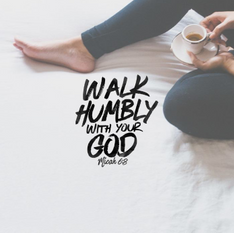 Walk humbly with God. Follow him. Walk close enough so that his ways, truth, love and grace cover you from head to toe. May you all enjoy the rest of your week. St Thomas More’s Primary School has been invited to participate in the Battle for Australia National Commemoration Ceremony at the Australian War Memorial on 5 September 2018 (Wednesday Week 7). The purpose of the ceremony is to remember and give national honour to those who took part in battles in South East Asia and the Pacific during the Second World War to defend Australia from possible invasion. Years 5 and 6 students have been given the opportunity to attend the event based on completion of optional homework on the topic to be handed to Mrs Mingay by Wednesday, 29 August, 2018. 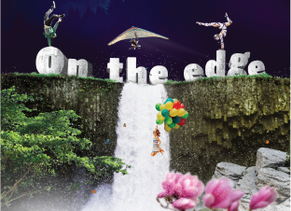 Includes hiking through the Australian Alps, navigation, high ropes challenges, giant ladder, abseil, above ground caving, problem solving/ team building activities, personal reflection & overnight solo. Includes hiking through the Australian Alps, raft building, orienteering, climbing wall, giant swing, giant ladder, community service, problem solving and team building activities. Learn how to set up a camp site, help prepare camp meals and develop a passion for the environment. In 25 words or less, highlight why you want to take part in the program. Send this in an email to mailbox@outwardbound.org.au . Place in the Subject Heading either “Defence – Navigator” or “Defence – Young Explorer”. Applications close by the 30 September 2018. The total cost of the programs are funded by DCO. Successful applicants will be required to pay a 10% place fee (Navigator program - $228, Young Explorer - $99) which will be reimbursed on completion of the program. Info Hosted by Military Christian Fellowship. Key note speaker is Dr John Dickson (PhD). He started out as a professional singer-songwriter, now works as an author, speaker, historian, senior pastor, and media presenter. He has published 15 books, three of which have become television documentaries. Follow link http://mcf-a.org.au/events/defence-christians-dinner-2018/ Enquiries: 02 6266 4950 or email mcf.office@defence.gov.au . Info BYO picnic rug and chairs. Light refreshments provided by DCO and beverages by the Salvation Army Sallyman Truck. Limited tickets available for an 18‐hole round of mini golf at the Yarralumla Play Station (first in, best dressed!). Pens Against Poverty is a creative writing competition for students in Years 3-10 living in the Canberra and Southern NSW regions. It is an official activity of Anti-Poverty Week (14-20 October 2018) https://www.antipovertyweek.org.au/about/about-anti-poverty-week and aims to heighten empathy among readers and writers on the topic of poverty. 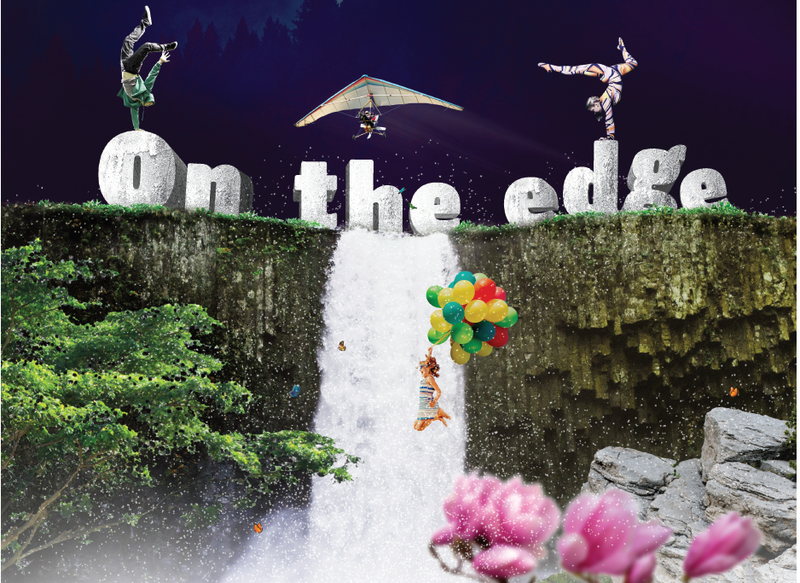 The theme for this year is ‘On the Edge’. 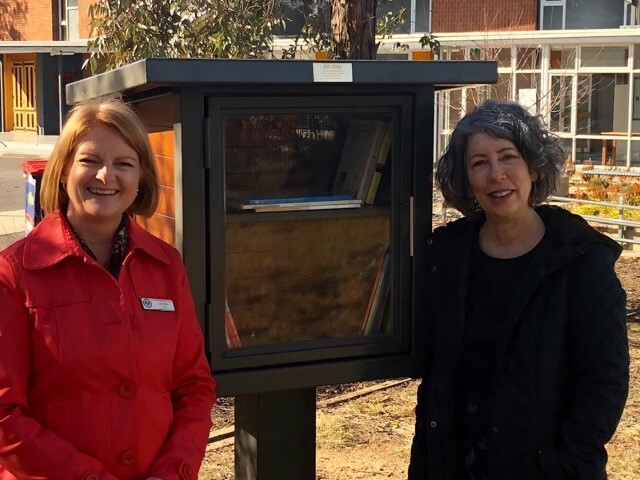 Entries of short stories or poems of no more than 500 words will be judged by author Jackie French and Canberra-based poet John Foulcher. Entries close Monday 24 September and must be submitted through Mrs Mingay. This is an optional activity. Our next Mini Vinnies Meeting will be held on Thursday, 30 August (Week 6) after eating time at lunchtime in the Afters Area. We will be organising our visit to the Southern Cross Apartments which is planned for Friday, 21 September (Week 9). A big thank you to Maura Pierlot for her donation of the Little Library to the Campbell community. Maura is a past parent of St Thomas More's and an inspiring children's author. The children are already making use of this fantastic addition.